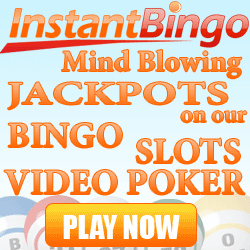 Fair dinkum, has Instant Bingo got a promotion for you! Grab a crate and join them all week to celebrate Australia’s national day in the Australia Day Bingo Special! To join the ‘Straya Day’ fun, simply join us in the Australia Day room between 6AM-7AM and 5PM-6PM EST for two hours each day during this big Aussie promo and you could be in with a chance of bagging some serious moolah! There you’ll find such benefits as $2,600 coveralls, $260 fixed prize games, $1,260-$2,600 variable prize games, and the Waterfall pattern that comes with a $1,260 prize on every 10th call with 48 max cards at a price of $3 a card. Celebrate with Instant Bingo and some bonza bingo games and you could hit the bigtime in the Australia Day Special!